This qualification reflects the role of individuals who use sound knowledge of event management processes and a broad range of skills to coordinate event operations. They operate independently and make operational event management decisions. In addition, this qualification reflects the role of commercial cooks who have a supervisory or team leading role in a catering business or function venue. They operate independently or with limited guidance from others and use discretion to solve non-routine problems. 2 years (6 Trimesters) Each Trimester is 14 weeks. This course is available for the February and June intakes. On campus with concurrent Industry Placement (work and study at the same time throughout the duration of this course). Our Industry Liaison team work closely with each student individually to discuss their long term and short term goals in the industry. From here, they work together with each one on their resumes, interview preparation and consequently to look for a job. This process can start even before the student commences their studies (provided that a formal offer to study at Kenvale has been accepted). Each week, students attend 2 – 3 days of classes as well as fulfill their casual/part-time work commitments in industry-related employment. Industry placement hours for this course is approximately 1,200 hours (~300 hours per Trimester). 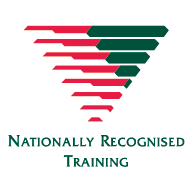 All students need to undertake their RSA and First Aid certificate prior to course commencement. See Entry Requirements for more information. Domestic (Smart & Skilled)** ^: Please contact one of our Course Advisors for more information. Note: Fees are indicative only and may be subject to change. *This is an approximate cost. The price will vary according to electives chosen. Kenvale College is a registered provider for VET Student Loans. Registered RTO ID: 6901. The implementation of VET Student Loans will take place from 1 January 2017 in place of VET Fee-Help. Students undertaking diploma or advanced diploma courses may be eligible for loans up to a cap of $5,000.The census date of a particular semester is 20% of the way through a VET Unit of Study. If Students are taking out a VET Student Loan, it is the date by which enrolment in the VET Unit of STudy must be confirmed and they incur a VET Student Loan debt if enrolled in the VET Unit of Study after this date has passed. Students who do not meet such eligibility criteria will not be approved for VET Student Loans. Any amounts drawn under VET Student Loans will give rise to a HELP debt which will continue to be a debt due to the Commonwealth until it is repaid. Please note that each semester includes the subject Work Integrated Learning (WIL) which is work-based. Thank you for inviting us - we really did appreciate it. I must say I was really impressed by the Briar Ridge team - one of them (… Aiden) did a really great job explaining who they were, what they were about etc., and really took the time to give us the background on the person behind it all (Gwyn Olsen). He'd clearly immersed himself in the project, and I think she'd have been really pleased if she'd seen that. Happy to reach out and tell her so if you think it would help pave the way for future events.